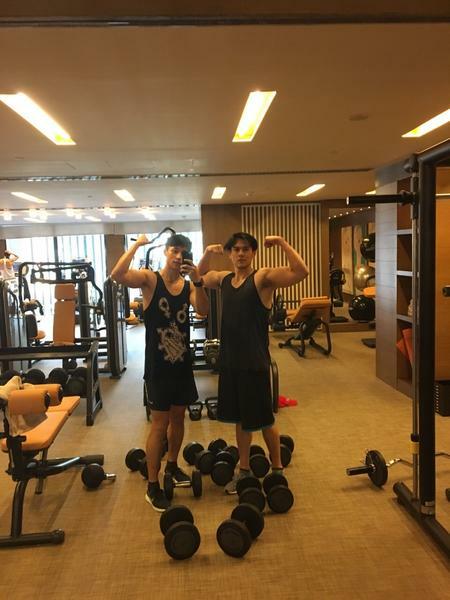 On Tuesday, singer-actor Vision Wei (魏晨) brought along his close friend Eddie Peng (彭于晏) to the gym. 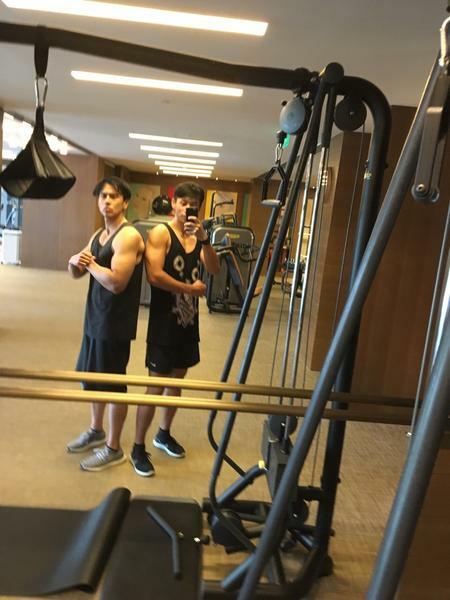 The two actors kept it casual and practical with their black tanks and black shorts as they headed directly over to the weight room to do some muscle training. 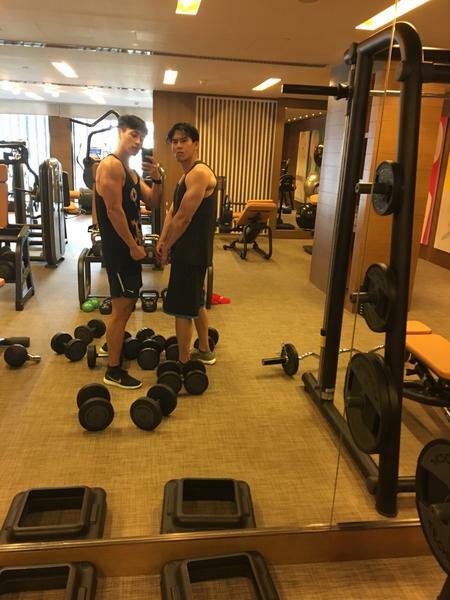 “Two very bored dudes… went out together to lose some weight,” wrote Vision on his Sina Weibo on Tuesday. Vision shared many live photos of their workout, demonstrating their workout moves. 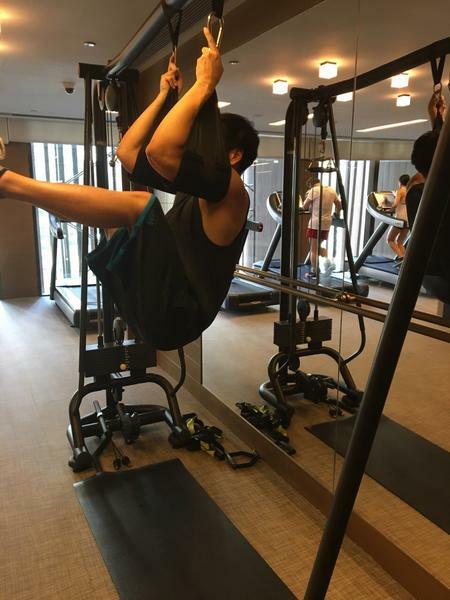 Fans were happy to see Vision finally working out, pointing out that he used to be very skinny. 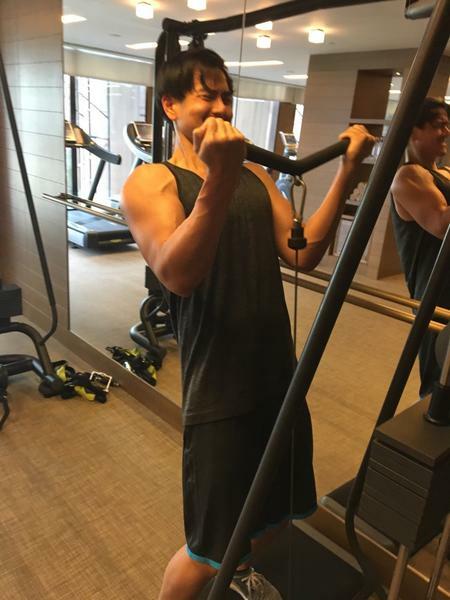 While some netizens thanked the actors for giving them workout tips, many fans teased Vision for showing off. 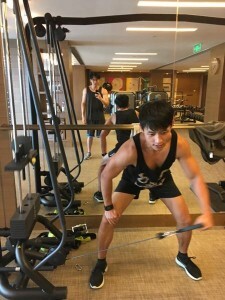 He should just use his Chinese name Wei Chen instead of Vision – another one to add to list of bizarre English names. @msxie0714 LOL! Their choice of English names is almost as bad as those made by blacks in the US (e.g. La’Nokia, Dekekisha, Brishónfintayee, Tyquesta, Dontarrious, etc). 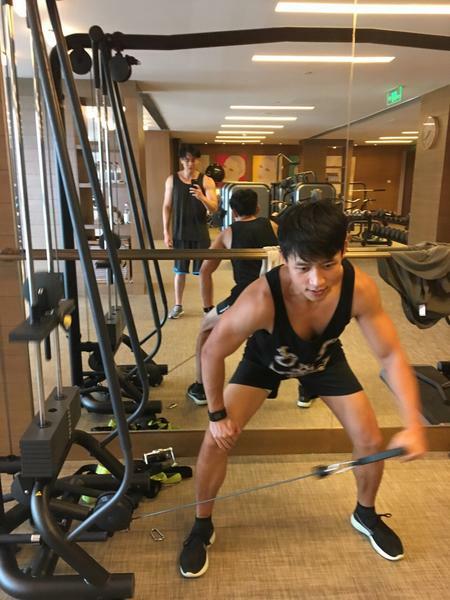 @mike Lol, there are probably more opportunities for #EddiePeng to flash his arms than legs, so he works on what matters more.